A Night Cap – August 17, 2008: Mo-ther, Please! I’d traded out my station at work, forfeiting the “sure thing” money to become breaker for the night. This meant I would “babysit” other server’s stations while they went to eat. It was a dent in the pocketbook, for sure, but the up-side to it was that I’d have no sidework, wouldn’t have to roll silverware, and by all accounts, SHOULD have made it out of the building by 8 o’clock. Didn’t work quite that way and it was after nine when I called home, “I’m on my way.” It was ten o’clock when I pulled into the driveway. I thought it was incredibly generous of my mother to allow my dad to stay with her. They’ve been divorced for eons, but they still get along. She even went so far as to cook him a nice dinner, bake cookies, and put on her “good clothes”. I’m absolutely certain her sudden attempts at being the charming hostess had nothing at all to do with him, but moreso her desire to “show him” how good she’s done on her own. Whatever. I could have cried. I love the way my dad thinks. I love his boyish nature, coupled with his incredible wisdom, all packed into yet stretched out through his 6’6” frame. He’s such a loving soul. Mom immediately told me she left me a buffet, so I began helping myself to the left over roast beef, mashed potatoes, and corn. But then I noticed that every single god-blessed time I tried to speak to my dad, my mother would interrupt and assert herself in obnoxious ways. What was that about? I tried to tell my dad about the books I’d just gotten. He and I share a certain love of mysticism. Mom interrupted to talk about the time years ago when they went to… “what was that place again? It was fourth of July weekend and I wore my hand-made 4th of July tee shirt, the one I wore this year on my birthday, and we went to some park… yada yada friggin’ yada.” All this, triggered by the word “palmistry” and she wanted to talk about the one time she’d gone to get her palms read and how wrong the woman had been, telling my mother that she was well raised by her parents, and then snorted. Obviously, my mother has no appreciation whatsoever for how she was raised… or for my mysticism, apparently. “Whatever” retorts my mom, then goes on for another eternity talking about the damned rocks. I tried to talk to my dad about his brother, she interrupted again and started talking about MY brother and all the pictures he took when he was here looking at the jerodes. (Geodes, Mammaw!… Whatever). Dad and I were talking about maybe cruising through Brownsville and Leitchfield, and in the middle of our conversation, she brought out her laptop, stopped me in mid-sentence, shoved her computer at my dad and said, “Here, you can look through these while she’s talking” and proceded to offer instructions on how to click through the images on her computer screen. Dad and I started chatting about wildlife – she interrupted again to talk about three turtles that show up to eat her strawberries, a baby rabbit she found in her back yard, and a tiny toad that was smaller than any frog she’d ever seen. I’d had enough. I gave Dad a hug goodbye and told him we’d catch up in the morning – and if it suited us both fine, we’d do nothing at all ‘cept sit on the front porch drinking coffee, smoking cigarettes, and talking… uninterrupted. I’m not sure why she behaved that way, really – and I know she has no idea she’s doing it. I don’t know if she was nervous, if she was just trying too hard to be a good hostess, if she had something to prove, or what – but I’m looking forward to tomorrow when I can spend some one on one time with my dad. I haven’t seen him in over a year – and even that time was jam-packed with more than twenty family members trying to squeeze in a big visit in a few short days. I’m off for the next two days – so I’ll have Monday and Tuesday to spend with Dad, then I return to work and he returns to Vegas on Wednesday. As for now, I’m off to bed. Well, I had every intention of coming back and posting my list of books Friday night, but this cold that got hold of me got hold me me good and I’ve been miserable beyond belief. Haven’t done much of anything other than lay in bed and… well, READ! Because of how I feel, I gave away half of my shift today. I didn’t want to call in all together because that would reflect in my next eval – and since I’m getting ready to max out at four stars (takes 15 months to earn all four stars on our aprons), and since I’m in training to be a certified trainer, calling in would hurt me more than just losing a day’s pay. I was originally scheduled for an 8 a.m. – 8 p.m. shift, but I’m going in at 2 today instead of 8, thanks to a co-worker who put a note up in the break room saying she was looking for a Sunday morning shift to pick up. Dad arrives this afternoon, too. Not my biological father, but the one who adopted me when I was sixteen and incredibly pregnant. My first born son’s middle name is the same as my dad – this is a man who changed the course of my life – more than once – and I have this hunch he’s about to do it again, even if indirectly or more subtly. He should get here sometime after three. I won’t be home, but my mom is making him dinner and the kids can go next door and visit with them. While the kids are at school tomorrow, I figure I’ll take Dad on a quick tour of Brownsville and Leitchfeild so he can get an idea of how/where we function and get things done. I’ll take him to lunch at the Feed Mill in Leitchfeild, and we’ll be home before the kids get out of school and can get some major front-porch sitting and coffee-drinking done. I had spoken before about moving blogs, but I’ve decided against it. What I was trying to do, I realized, was merge my magickal/business self with my magickal/personal self, and the two are meant to be separated. So, I’ll keep on keepin’ on right here with the posts more personalized as they have been. However, I won’t be adding to the moon phase page and will probably re-do several of my categories to fit. In the mean time, I’ve been working on building a complete website. It won’t be ready before January (if not later), but I’m having a good time plugging in all of the pieces and parts, connecting the dots, and seeing how the dream is manifesting. Now, as for the new books, here’s what I purchased. The first one I picked up is called Simply Palmistry by Sasha Fenton. Several chapters in, I realize this probably wasn’t the best choice. It’s much more superficial than I’d realized when I flipped through it, and focuses on how to size up someone’s hands to determine whether or not they’d be a good partner/mate. While there are some things I’m definitely benefiting from reading this book, such as maps of the hand, the descriptions are short, choppy, and not “memorable”. It feels like the information is incomplete and scattered. I don’t regret having bought the book and will probably go back later and compare it to other sources as I build my personal library, but there was probably another book on the shelf that would have been a better choice. Book two prompted an involuntary verbal squeal from me at the book store, which in turn provoked a conversation with another woman standing in the same isle. I hadn’t been looking for this book specifically, wasn’t sure if I’d buy any books on the subject, but when it quite literally jumped into my hand from the shelf and made me squeak, I didn’t question it. This book is called Faeries of the Celtic Lands by Nigel Suckling. Unlike most Faerie dictionaries or encyclopedias, or the modern approach to attracting faeries, this book travels back in time to the very beginning of Faerie Folk in Ireland. The stories are much like that of the Egyptian pantheon, or Greek mythology, with various Faerie Gods and/or Kings taking their turns at rule. It describes various battles, the retreat of the faeries beyond the veil, and stories of how even after the separation, faeries and humans worked together on occasion (yes, through modern times). Rather than the flower and fluff charming dictionary-encyclopedia style of most faerie books on the market, this book gives much more of a historic account based on ancient celtic writings. It can be slow reading, a bit of it difficult to digest, mostly based on the names of the people and places. This is a book I’ll likely read more than once – not necessarily one I’ll reference often (as I do with the faerie encyclopedias/dictionaries), but to further and cement my own understanding of the history of Faerie Folk. 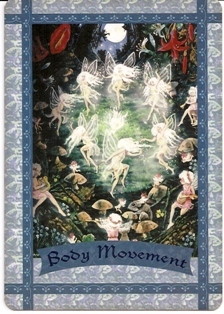 In Keeping with the Faeries, the next book I picked up is called Fairy Bible by Teresa Moorey. Beautifully illustrated, this is an encyclopedia of faeries, but also includes things my other books don’t that are aligned with the book above, such as naming specific Faerie Cities. Aside from the dictionary portion and the location of the fairies (spelling of that word does vary, by the way), but it also offers meditations, guides on working with the faeries, and protection against harmful fairies. I haven’t gotten too deep into the reading of this one yet, but it’s one I’ll likely keep on my night-table and read a few pages before I go to bed each night. It’s also one that will be used often for reference in the writing of some of my own faerie articles (that likely won’t appear here, but will be saved for the other website). Book three was a surprise to me. I had no intentions of looking for this type of book, either – but there was a “knowing” when I saw it, so I grabbed it. Magical Herbalism by Scott Cunningham. This is one I’ll be referencing in the writing of the “Enchantmonths” series, as well as using for other purposes. I’m a big fan of Cunningham and have several of his books on my shelf. Although he was obviously more “Wiccan” than I am, as I avoid religion and ritual, there is much in common between his belief system and mine. I appreciate the way he brought across his information in easy to digest, yet not elementary fashion. I didn’t have any good herb books on my shelf, so I’m glad to have started that portion of my collection with this book. In the Enchantmonths series, I list each month’s correspondences – including animals, gemstones, herbs, trees, flowers, faeries, and more. 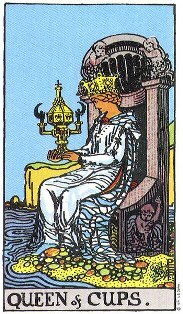 For the new website, I’m trying to write full length articles on each of those correspondences. For example, January lists fox, coyote, blue jay, and pheasant as animals/birds for the month. While I mention each of those briefly in the Enchantmonths series and offer summarized versions of their magickal meanings, I want to do full length pieces on fox magick, coyote magick, blue jay magick, and pheasant magick. The same concept carries through with herbs, gemstones, and the other correspondences. This book not only describes what the herbs are used for and when their properties are, but it also goes into how to grow your own, how to dry and store them, and offers much more information for the magickal herbalist. The next book was also a bit of a surprise. Numerology and the Divine Triangle by Faith Javane and Dusty Bunker. This is one I picked up, put back down – picked up, put back down. Talked myself out of, but went back to it. Ultimately, it came home with me. Understanding numerology is something I’ve wanted to do for years, but never felt the time was right. When I was in the bookstore and saw this book, I had a “flash” about this blog, the “Know Thyself” category where I listed my numerology in basic form. I believe there’s magick in numbers… and I suppose life is telling me I’m ready to learn. As far as I know, this is not a subject I’ll be including in the new website, but then again, the Universe may have other plans. I plan on taking my time with this; I’m not feeling rushed or pressured to drink the book down… but I am intrigued and looking forward to expanding my awareness of numerology. The last book makes me smile. I don’t like the title – and I almost didn’t buy it just because of the title, but in comparrison to the other books on the shelf on the same subject, this one was an obvious keeper and the others were mostly fluff. The Complete Idiot’s Guide to Astrology: Fourth Edition by Madeline Gerwick-Brodeur and Lisa Lenard. I have two books on my shelf already on astrology, but they’re old, and they’re too complex for my mind. I’m sure the information is correct and accurate, but the way it’s presented in the older books isn’t in such a way I can easily digest. This book, however (I am NOT an idiot!) presents complex information in a simple fashion. Moreover than understanding the specific signs of the zodiac, I’m interested in learning what it means when the planets dance, such as when Mercury enters Virgo or when Mars goes into retrograde. For years, now, I’ve included such events as a quick mention in my daily dose posts, but then followed it by saying, “I have no idea what that means, but I’m including it here because it’s significant.” Well, now I want to be able to understand it. Of course, I also want the rest – understanding the zodiac signs and how the stars and planets influence us on a daily basis, but the main reason I bought this book is for its descriptions of the planetary shifts. While it was tempting to go in and just buy every palmistry book, I knew it was time to spread myself out. If I’d bought all palmistry books, I’d have burned out too quickly, gotten overwhelmed. One at a time, baby steps – and by mixing up the subjects, I’m able to learn about all sorts of things simultaneously. As I was shopping, I was thinking of the kids in school – they don’t just study one subject all day long, they have six or seven different classes… and so that’s the approach I’m taking with my own learning. Rather than delve wholly into just one subject and submersing myself in it, I’m spreading out my interests so I can learn about several things at once. One thing I might like to do here on this blog, as opposed to the website I’m building, is create a category called “The Book Shelf” in which I list all the books I have (with short reviews) on various subjects, followed by a list of books I’d like to have. It’d be fun for me to be able to move the “wish list” books to the “I have” books as I increase my personal library one book at a time. What I’d like to do, if I can manage to keep my head above water, is treat myself to one new book each month. As winter nears, I’m sure I’ll be doing much more reading. Anyway, I’m off to do this morning’s daily dose, work on the website a little, shower, and head to work. Not sure how active my posts will be when my dad’s here, but we’ll see.